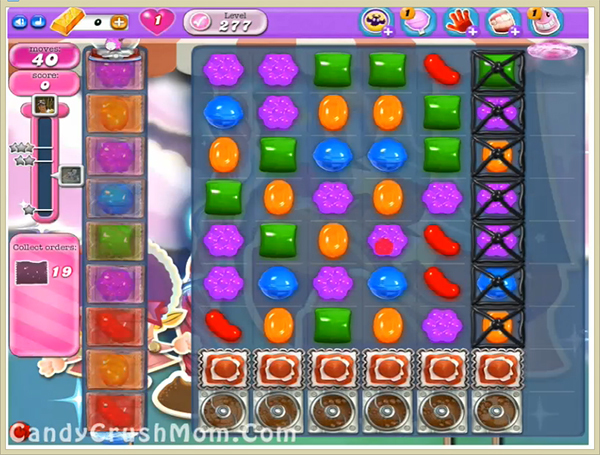 This level have normal difficulty and you need to follow few steps to easily clear this level. First try to break grills by using normal move or special move if you can balance the Odus owl. Then start making wrapped candies and break it then break wrapped candies in last that you already got. We completed this level with 224000 score using same trick that we share above without booster and got three star score at the end of the level. on pc allways the same game. mobile odus is Allas sleep in.